Teenagers are a huge market for those in the entertainment business: not yet tainted by the thirst for nostalgia, truly disposable income, easily enticed by images that please the five senses. It is safe to argue that the United States in the 1950s began to see a generation of teenagers come to symbolize a style and culture unlike any other generation prior. This was the very genesis of what we've broken into generations (boomers, gen x-er's, millenials), each so vastly unique and highly intricate into creating a world history that has proven will have a lasting impact until the end of time. With such a broad stroke are the fine details that are a part of what creates important milestones. The film business itself is hardly an exception. The next wave of "Hollywood rebels" would go on to surpass the inventors with an ideal that is still a mainstream as well as independent film fixture. One such company, American International Pictures (AIP) was first known as American Releasing Corporation. Samuel Z. Arkoff, an entertainment lawyer and James H. Nicholson started AIP in April of 1954. Their target roster: independent, low budget films targeted to youth. Arkoff emphasized how important the teen market was to make money. He directly addressed teenagers, asking what they wanted and developed a system following this sequence: come up for a catchy film title, create eye popping art for the film's poster, raise money for the film, write the film, cast the film. The system was known as The ARKOFF formula. AIP films in the 1950s worked with themes teens related to and genres (science fiction/horror) that occupied much of their leisurely viewing habits at drive-in's. The 1960s were all about Frankie & Annette beach party films, spy spoofs, capturing the massive counterculture with a focus on psychedelics and hippies, as well as b grade horror movies. This was the playground of genre film director and legend Roger Corman, who during this time worked with Vincent Price on Edgar Allen Poe cinema revisions. By the early 1970s, the company was generating the most films they've ever made in one year (31 in 1971) and Nicholson resigned to begin his own production company. With Arkoff still heading the company with a stern focus on savvy youth: kung fu, gangster, and blaxploitation films became its lucrative fare. My particular interest is in the role AIP played in being the premiere film company for producing blaxploitation [horror] films, gaining not only a timely progressive youth audience, but the overall Black American film goer. 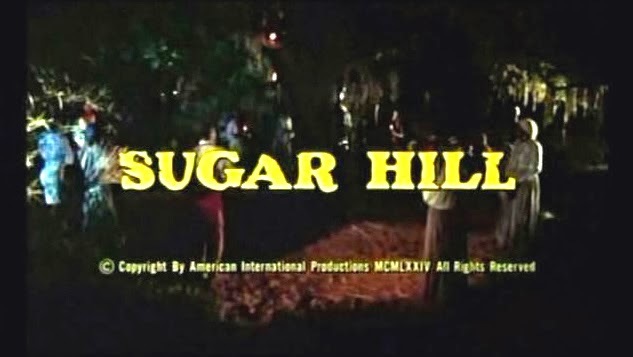 AIP became an outlet for many of the more well known blaxploitation horror fare such as Blacula (1972), Sugar Hill (1974), Abby (1974), J.D. 's Revenge (1976), and 1973's Blacula sequel, Scream Blacula Scream (1973) starring Pam Grier, whom in other films under AIP made her a star. AIP is worth noting because of its beginnings, founded as a space for untapped audiences who wanted to see their interests reflected on the silver screen. Blaxploitation did that for Black audiences in droves, with the backlash to magnify its importance of reflecting the complexities of African American life and culture. Blaxploitation horror clearly was no exception to this rule, delving into the daring fantastical hole using allegorical monsters to map interpretations of Black consciousness. With creative agency for some of the directors, writers, as well as actors, AIP in the 70s consistently provided a door in which Black stories on film could be told.